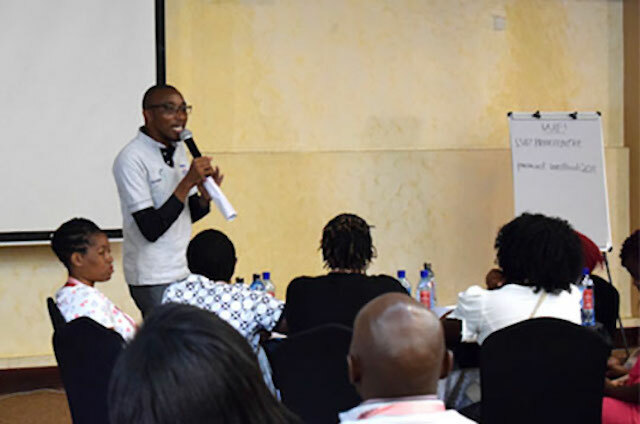 In Nairobi, volunteers from Citibank mentored young shopkeepers participating in the PAYED program, giving expert advice to help them build profitable enterprises for a better future. 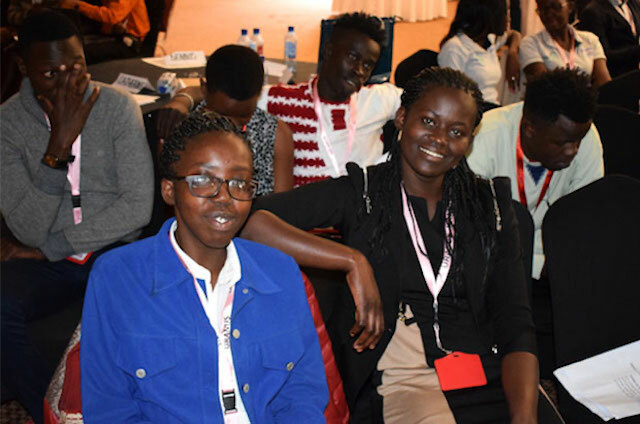 By working with young entrepreneurs to improve their business and financial management skills, the Pan African Youth Entrepreneur Development (PAYED) program aims to increase the sales of participating micro-retail shops by more than 30 percent. In Kenya, TechnoServe and Citi Foundation are partnering to help young shopkeepers grow profitable enterprises and prosperous futures. 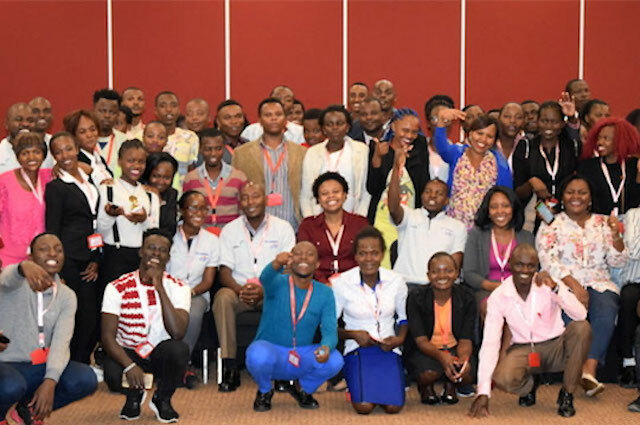 Launched in Kenya in October, the Pan African Youth Entrepreneur Development (PAYED) program aims to increase the sales of participating micro-retail shops – known locally as dukas – by more than 30 percent by working with these young entrepreneurs to improve their business and financial management skills. In Nairobi, dukas are an essential part of the economy, providing 80 percent of all consumer goods to buyers, especially in the city’s informal settlements. Determined to roll up their shirtsleeves to help these vital businesses in their communities, volunteers from Citibank have joined TechnoServe teams in training sessions with PAYED participants, supplementing the training curriculum with their own expertise and one-on-one mentoring. One of these volunteers was Sammy Wanjala, a resident of Nairobi who has worked at Citibank for the past three years and is currently a Credit Risk Associate covering East Africa and Nigeria. In March, Sammy lent his expertise to this effort by volunteering at a mentoring event in which Citi staff served as coaches and role models for the young business people participating in PAYED. This step of the program comes after participants have completed their business training, and is designed to help these young storeowners to tackle the obstacles they will face every day while applying their newfound business knowledge to real-life challenges. Sammy Wanjala, a Credit Risk Associate for Citibank, shares his experience and expertise with young entrepreneurs participating in the PAYED program. After mentoring, Sammy reflected on what he taught and learned at the mentoring event, and on witnessing the start of a new business future for these young shop-owners. “I have this great interest in mentoring youths. I strongly believe that if you empower one youth, then you have empowered a future leader, a family, a nation, and ultimately an entire generation. Therefore, for me, volunteering to mentor the youth in the Citi PAYED program was not only about showing up and representing the organization, but also fulfilling my passion. I would say PAYED is one of the most strategic programs you could think of because it targets the youth in the informal settlements of their cities. We are not trying to move them from these areas, but helping them make their lives and communities better right where they are. PAYED is bringing professionalism to the retail industry and other businesses, giving communities better services, growing as entrepreneurs, and empowering communities. One part of mentoring that amazed me was how much these young people had already done and dreamt of doing, even before they attended PAYED training. In my opinion, with the skills they learned through the program, they will definitely achieve their goals. Some of the key trainings were on customer service, records management, shop layout for better visibility of key products, and shop hygiene. This knowledge has given them a better level of success. I observed that, before the training, the shopkeepers started and ran their businesses as a means for survival. The little profit they earned went straight to feeding their families. But with the skills they acquired during the training, they now have a clearer vision and a well-articulated plan on how to achieve this. This evolving mindset was visible when they presented their business plans to us. It was striking to witness the great ideas they had developed to transition from subsistence to growth, such as sustainable rabbit keeping and many other ideas that only need a little polishing to succeed! Beyond the unique opportunity for seasoned bank professionals to lend their expertise to up-and-coming entrepreneurs in some of Nairobi’s most challenging local economies, these sessions also taught mentors a great deal about the challenges facing micro-entrepreneurs and local communities. By connecting directly with duka owners and understanding their barriers to success, Citi volunteers not only left behind their advice, but also took new perspectives with them. Not only will the mentoring sessions help shop owners to improve their businesses, but they will also enrich bank staff’s understanding of the services that can help these emerging entrepreneurs to thrive. Both the PAYED participants and Citi volunteers finished their training better equipped to contribute to the growth and prosperity of their local communities.